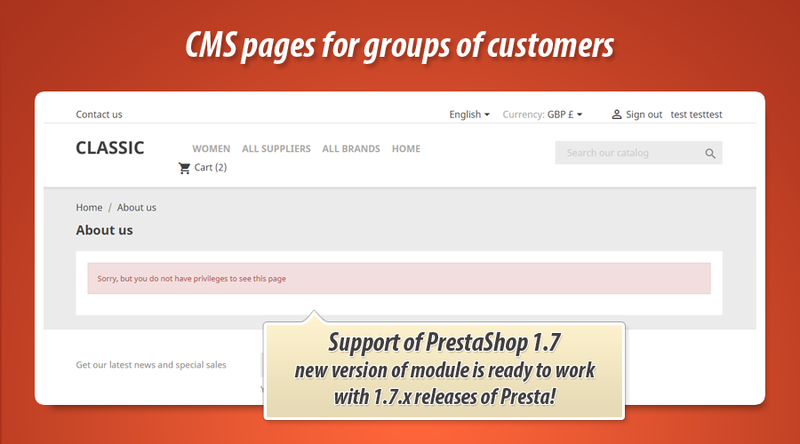 This PrestaShop module allows to define visibility of the cms pages for selected customer groups that you have in your shop. Each CMS page can have own unique settings. When customer will try to open CMS page for which hasn't got an access - PrestaShop will display message with information about that. This module creates great feature in the shop that allows to define additional setting for CMS pages. This setting is an settin related to visibility of CMS page for selected customer groups. 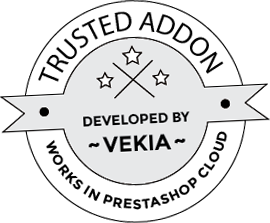 Whole management process of the module you can find on module configuration page, where you - as a shop owner - are able yo define such visibility restrictions.